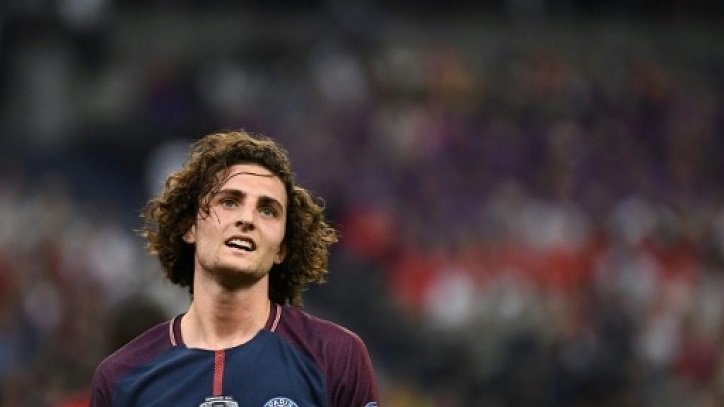 Adrien Rabiot's agent has accused Paris Saint-Germain of holding the midfielder "hostage" after he was suspended for going to a nightclub following their Champions League defeat by Manchester United. The French international has been in conflict with PSG as he wants to leave the club at the end of the season when his contract runs out. Agent Veronique Rabiot, who is also the player's mother, insisted her son had "done nothing wrong". "Adrien is a prisoner, he is even hostage to PSG. Soon it will be dry bread, water and a dungeon," she told L'Equipe on Tuesday. Rabiot has been suspended until March 27, after also liking a video on social media of former Man United defender Patrice Evra celebrating PSG's defeat. "We blame him for going out when we don't want him to play," Veronique Rabiot added. "It's contradictory, it's not possible to lock him up."